One of the most iconic and life-altering events in America’s history – the completion of the Transcontinental Railroad – happened in Utah on May 10, 1869. Spike 150 is organized to partner with all those celebrating the 150-year anniversary of the Golden Spike ceremony in Utah. 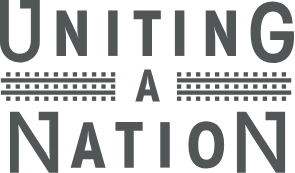 Through a series of activities and events, the Spike 150 initiative aims to inspire, educate, and reflect on the Transcontinental Railroad legacy as it unifies Utahns to see that great things are possible with vision, hard-work, dedication, innovation, and collaboration. Spike 150 is Utah’s celebration of the 150-year anniversary of the Golden Spike. Through a year-long series of events throughout Utah and the nation, we hope to unify, educate, inspire, and leave a legacy. 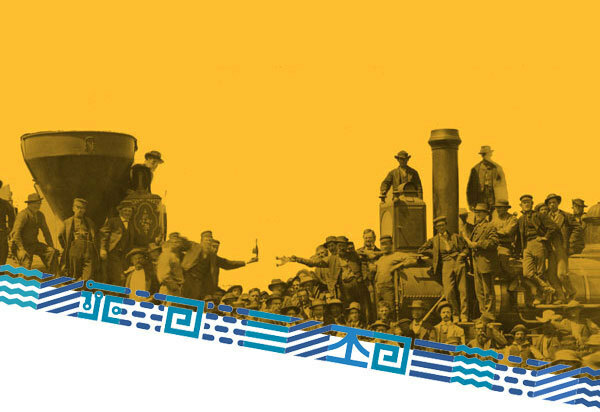 Utah is honored and excited to host the Transcontinental Railroad’s 150th birthday party at the Golden Spike National Historic Site May 10th through 12th, 2019. And you’re invited! As a fourth grader in Utah, how can you reach out and become a "golden spike" in your community? How can you connect with new people or new ideas? How can you be someone that brings together two sides of an issue or two groups of people? Submit your art piece as part of this historic event to earn a Certificate of Congratulations from Congressman Ben McAdams and be featured on his social media pages. Submissions are Due by Friday, April 26th! The King of Steam Returns to the Rails. This special opportunity is a two-day event to experience the Big Boy No. 4014 and Living Legend No. 844 before their return home to the steam shop in Cheyenne, Wyoming. On May 11, take an exclusive behind-the-scenes tour of the No. 4014 and the No. 844 at Ogden Union Station. On May 12, board Union Pacific Railroad Steam Club Heritage Fleet pulled by the world’s only operational Big Boy locomotive and travel from Ogden, Utah, to Evanston, Wyoming, to celebrate the 150th anniversary of the transcontinental railroad’s completion. Space is limited.